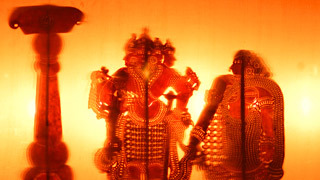 The great stories of Kerala are often retold using art forms. It is here that our legends truly come to life. 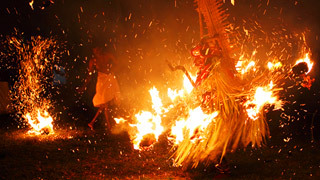 Theyyam is a famous ritual art form that originated in North Kerala which brings to life the great stories of our State. It encompasses dance, mime and music. 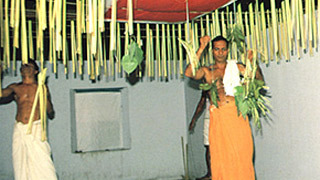 It exalts the beliefs of the ancient tribals who gave a lot of importance to the worship of heroes and the spirits of their ancestors. 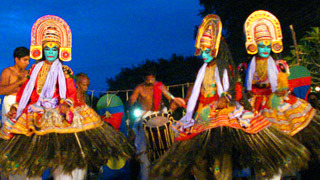 The ceremonious dance is accompanied by the chorus of such musical instruments as Chenda, Elathalam, Kurumkuzal and Veekkuchenda. 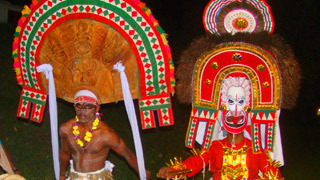 There are over 400 separate Theyyams, each with their own music, style and choreography. 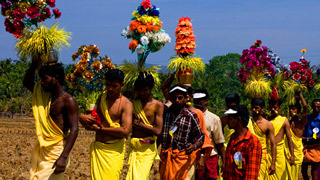 The most prominent among these are Raktha Chamundi, Kari Chamundi, Muchilottu Bhagavathi, Wayanadu Kulaven, Gulikan and Pottan. Each artist represents a hero with great power. 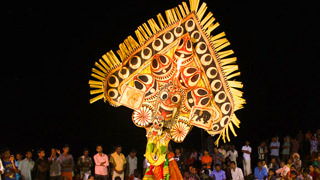 Performers wear heavy make-up and adorn flamboyant costumes. The headgear and ornaments are truly majestic and fill one with a sense of awe and wonder. 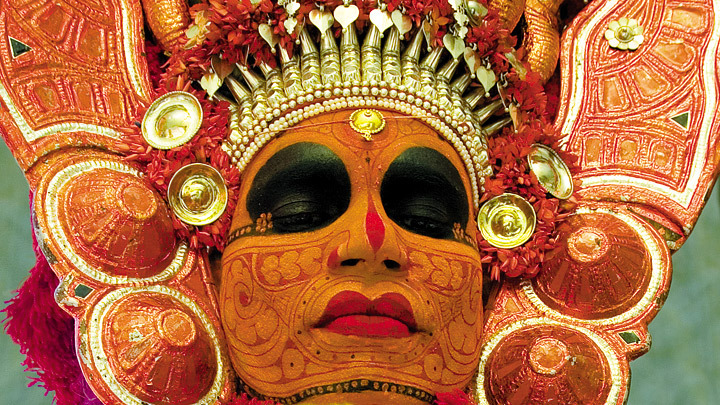 From December to April, there are Theyyam performances in many temples of Kannur and Kasaragod. 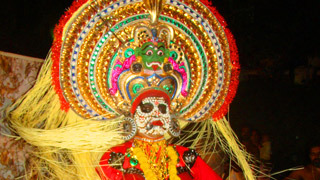 Karivalloor, Nileswaram, Kurumathoor, Cherukunnu, Ezhom and Kunnathoorpadi in North Malabar are places where Theyyams are performed annually (Kaliyattam) and draw huge crowds.